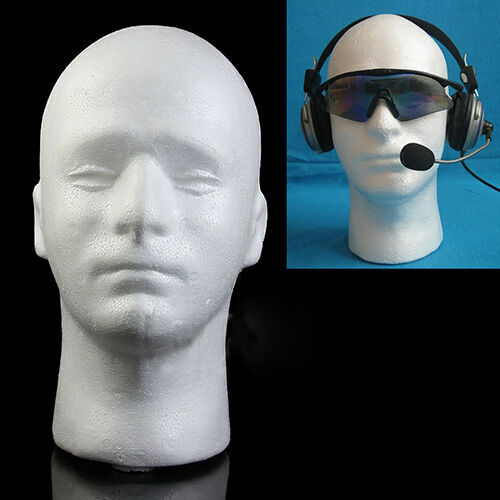 Artificial male head model, it can be as wig, glasses, hat display stand. Material: Styrofoam. Occasions: Wig, Glasses, Hat Display Stand. Type: Male Head Model. Filling degree is good, no pits, smooth surface.